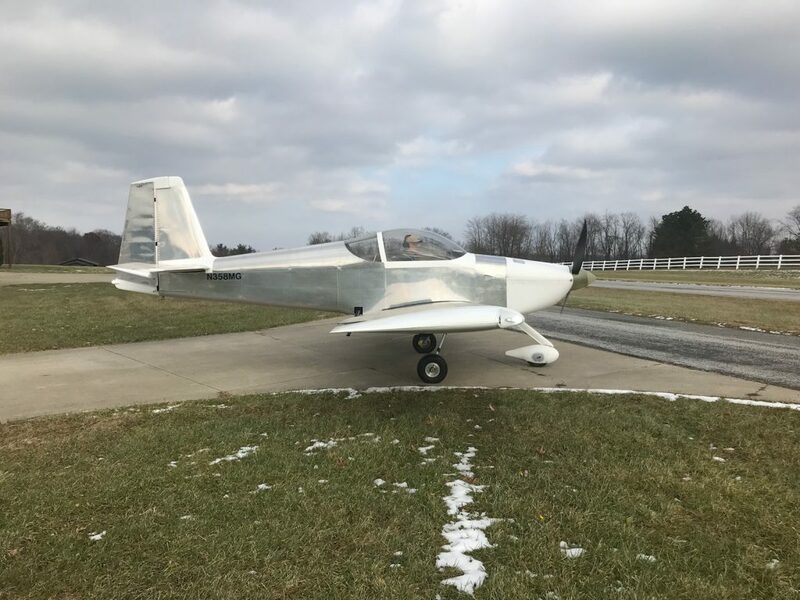 RV-7A N358MG flew for the first time on Nov. 17, 2018. Standard YIO-360-M1B and Hartzell constant speed from Van’s with Dynon Skyview and GTN-650. No major but several minor avionics discrepancies. Thanks to Vic Skodzinsky for fiberglass and other technical help, my nephew Brett Davis for otherwise impossible-to-reach bucking help, and my wife Sally for never asking what it cost.